Thalys is an international high-speed train service that runs from Paris and Lille to destinations in Belgium, the Netherlands and Germany. 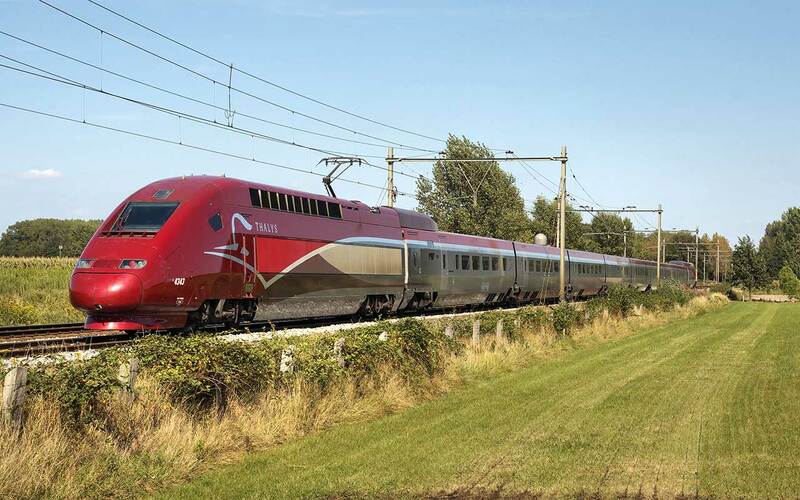 This train has a top speed of 300km/h and you can travel between Brussels and Paris in just one hour and 22 minutes. The Paris–Amsterdam journey takes three hours and 17 minutes and the Lille–Brussels train takes just 34 minutes. Services are frequent with trains every hour on the Paris–Amsterdam route. Although Thalys serves 14 railway stations in four countries, more than half its passengers travel on the busy Paris–Brussels route.